The Comm Lead program is committed to equipping our students with everything necessary to succeed in the work place. This includes the services of career coach Angee Linsey of Linsey Careers, who has extensive communications industry experience. She offers regular workshops to our students, along with one-on-one consultations. 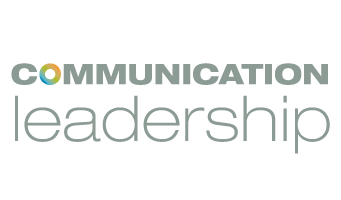 The Comm Lead program has given you direction, but there are many paths with a variety of opportunities ahead of you. When faced with this question, “What is your ideal next job?” it is important to have put some thought behind the answer to ensure your career path is one where you can thrive. In this workshop, you will learn how to assess who you are, your skills and competencies, and what kind of environment would allow you to contribute to the best of your ability. Most of us are great at talking about our company, our products and our teams, but when it comes to talking about ourselves, we often miss the mark. Whether in a job search, or simply speaking to someone about your career goals, it is important to have a solid communication strategy in place. The most powerful way to connect to that next great job opportunity (internally or with a new company), is to have meaningful conversations. This workshop will give you practical, hands-on methods for creating your communication strategy for job search, as well as ways to implement that strategy through effective conversations. Your resume is an important introduction of your skills and experience, and in this workshop, we’ll cover how to present your talents in a way that tells your story well. But in addition to the resume, we’ll also discuss portfolios (electronic and hard copy versions), social media tools and your general online presence when it comes to job search. For professional communicators, interviewing for a new role might seem like a walk in the park. Unfortunately, many of the lessons taught by communicators are often not put into practice during a personal interview. In this workshop, we’ll practice the four steps that will ensure you are ready to share valuable and relevant information during that crucial moment, using tools you already have in your communicator’s toolbox. Be sure to check our Events Calendar and social media channels for upcoming workshops! Once a student has attended one or more of the career workshops, he/she is eligible for one individual career coaching session (approximately 50 minutes) at no cost to the student. Based on the needs of the student, a coaching session can include career guidance, resume review, job search planning, and developing communication strategies for a job search or other related topics. Sessions can be done by phone or live as schedules permit. Limited email follow up is included. As an executive recruiter, trainer, and coach, Angee Linsey has helped people through career and hiring decisions for more than 15 years. Now as the Managing Director for Linsey Careers, she has taken the combination of her experiences and education and created a recruitment consulting and career coaching practice with a focus toward communications and marketing professionals. Prior to starting her own firm, Angee recruited in-house for companies in industries including wine, technology, telecommunications, consumer products, homebuilding, and hospitality. She was also an award-winning public relations and corporate communications professional in corporate, agency, and military environments, where she served through retirement as a Navy Reserve Public Affairs Officer. Angee earned her bachelor’s degree in journalism from the prestigious School of Journalism at the University of Missouri, and a Master of Arts degree in Career Development from John F. Kennedy University in Northern California. When not working, Angee enjoys traveling and photographing the world, and hiking the beautiful Puget Sound with her dog Taz. We believe that a high-quality internship provides a valuable opportunity to gain exposure to careers while acquiring skills, contacts, and work products that will help upon entrance to the job market. We provide students with a number of leadership opportunities related to the program, from editorships at the Flip the Media blog to international internships. Comm Lead encourages each student to be entrepreneurial in their quest for resources, contacts, and opportunities during their degree. In the past, we’ve connected students to internships at companies such as Facebook, APOPO, C+C and NBC Universal. Often these positions lead to jobs. A number of our students have even travelled overseas for their internships or as part of their graduate research with a faculty member. Countries visited include Ghana, Tahiti, Uganda, Cameroon, and Namibia.